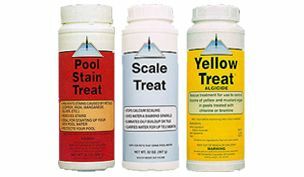 United Chemical Corp. provides unique and effective specialty products that are the most powerful and cost effective pool products in the industry. United Chemical makes the best specialty pool solutions in the industry. Built upon a foundation of educating customers, United Chemical products are designed to make pool care easy. Founded in 1983 by former Pool Service Professional and Chemistry Guru Jock Hamilton, United Chemical continues the philosophy of customer care and education while providing safe, effective and powerful products. Our goal is simple; we want to make your pool the best place to be. Making pools the best place to be means being able to both solve and prevent problems without creating new ones. This is the principle behind every product of United Chemical; create innovative solutions that solve - not create - problems. In keeping with this philosophy, all United Chemical products are also safe for swimmers, pets and the environment.